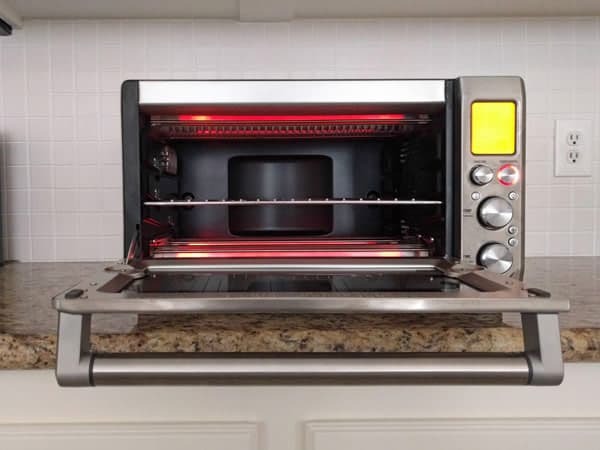 How To Clean A Toaster Oven And Keep It Clean! You are here: Home / "How To" Guides / How To Clean A Toaster Oven And Keep It Clean! 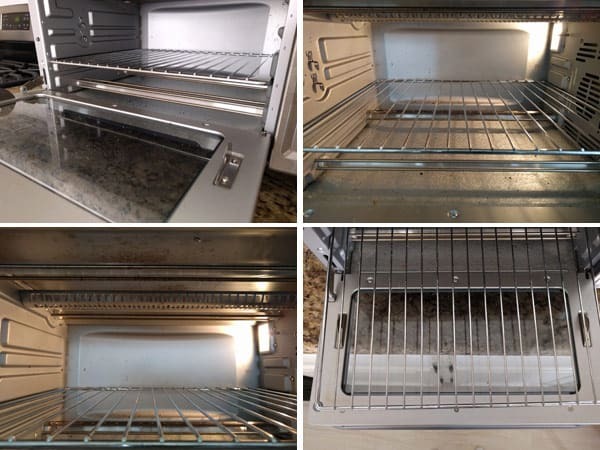 Find step-by-step photo directions for how to clean a toaster oven, what cleaning products the manufacturers recommend you use and our #1 maintenance tip. When was the last time you cleaned your toaster oven? No judgments here, we’ve been guilty of letting ours go far too long without a cleaning. But we’ll share all those dirty details and what happens if you break the rules to get your toaster oven clean in Part 2 of this series…. Are You Cleaning A New Toaster Oven? 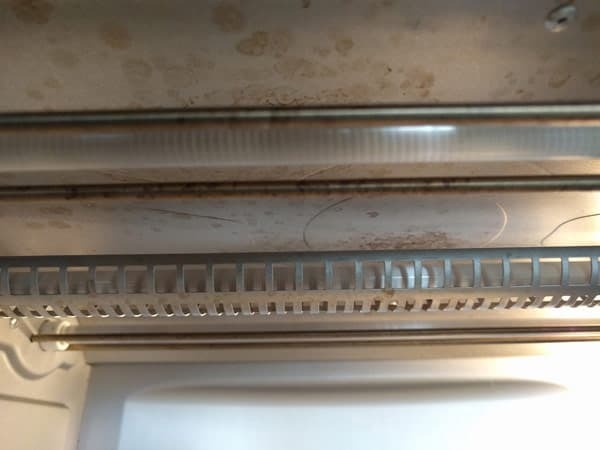 If this is the first time you’ve cleaned your toaster oven (brand new or new-to-you) make sure to read the manual and note any specific do’s and don’ts according to the manufacturer. What Should You Clean Your Toaster Oven With? A sponge or soft cloth. A mild liquid soap and water solution, diluted vinegar or a non-abrasive cleanser. It’s tempting but don’t use an oven cleaner. Those sprays are not meant for aluminum which is what the interiors of most toaster ovens are made of. Not to mention that scary list of precautions. Never immerse your toaster oven in water. Always apply cleaning solutions to a sponge or rag (including warm water) and not directly on the toaster oven. 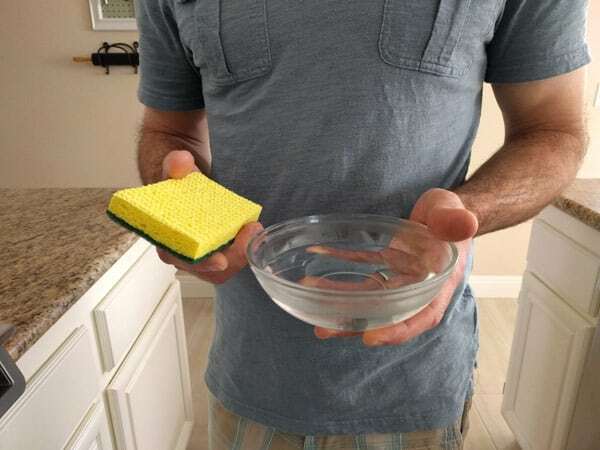 Make sure your sponge is slightly damp and not dripping otherwise you can easily splash liquids into the electrical components, especially if you have a convection fan. To keep your toaster oven in good condition you should try to wipe it down after every use. But a good weekly cleaning like this one is more realistic for us, how about you? Before cleaning your toaster oven make sure it is unplugged and cooled. Remove the baking rack and wipe any crumbs from the interior walls and door. Some crumbs might stick in the corners. You can use a pastry brush or an out-of-service toothbrush to brush them away if you want. Next, remove the crumb tray. Wipe any crumbs off into a trash can and set the tray aside. Prepare a bowl of 1/2 cup hot water and 2 tablespoons white vinegar or a little bit of mild cleaner like dish soap. Wipe down the inside of the toaster oven’s walls and the ceiling, taking care to avoid the heating coils/elements. The walls should clean up easily if they’re not heavily coated with grease. 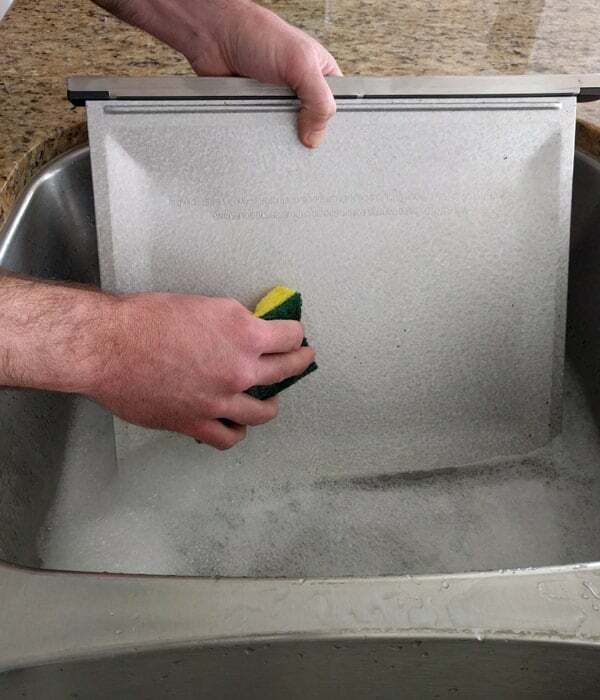 If you need to clean the heating elements, gently wipe the length of each element with a water dampened cloth. Allow them to dry completely before use. Do not use soapy water or any cleanser on the elements or you may damage them. The ceiling is always the hardest area for us to keep/get clean. Yours is probably that way too (try not to look). It’s because the ceiling usually doesn’t have the same nonstick coating as the interior walls and crumb tray. 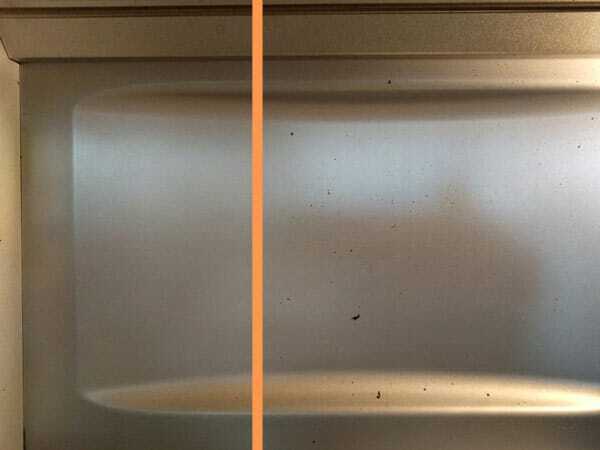 To help prevent these kinds of stains on your toaster oven’s ceiling see our #1 maintenance tip later in this post. Lastly, wipe down the inside of the glass door. Wipe down the exterior door and outside of your toaster oven with a sponge lightly moistened with the water and vinegar solution. 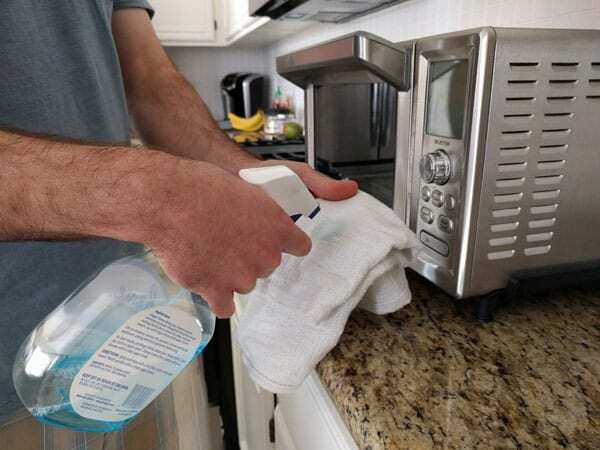 If you want to use a glass or other spray cleaner on the door or exterior of your toaster oven make sure to apply the cleaner to your towel instead of spraying it directly on the appliance. Again, don’t use the green scouring side of the sponge it will leave tiny scratches all over your toaster oven. Don’t forget to wipe down the controls, those knobs can get pretty grimy. 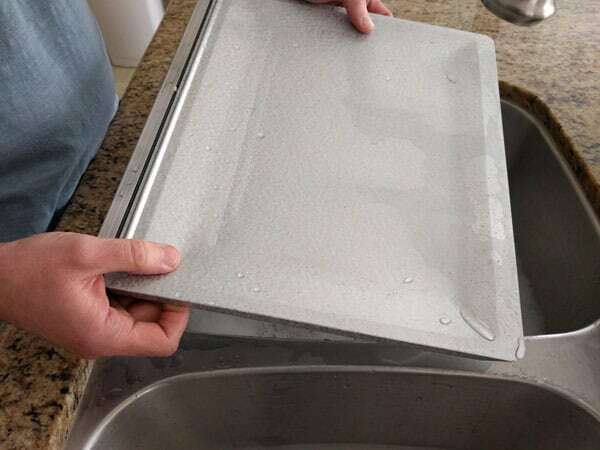 If wiping it off doesn’t get it clean, fill your sink with hot soapy water and soak the tray for a few minutes. 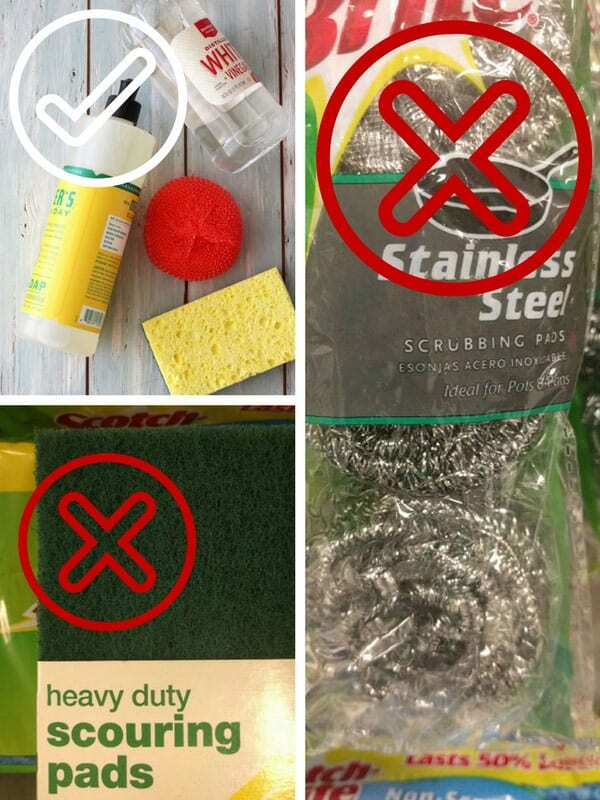 Use a soft sponge or nylon scouring pads to scrub it clean. If the stains are really stubborn you can soak the tray for a few hours and then try scrubbing again. We know you’re sick of hearing this but make sure to use the sponge side – not the rough side. As it can remove the non-stick finish on the tray making it more difficult to keep clean in the future. Rinse and dry the tray. Repeat with the baking rack. 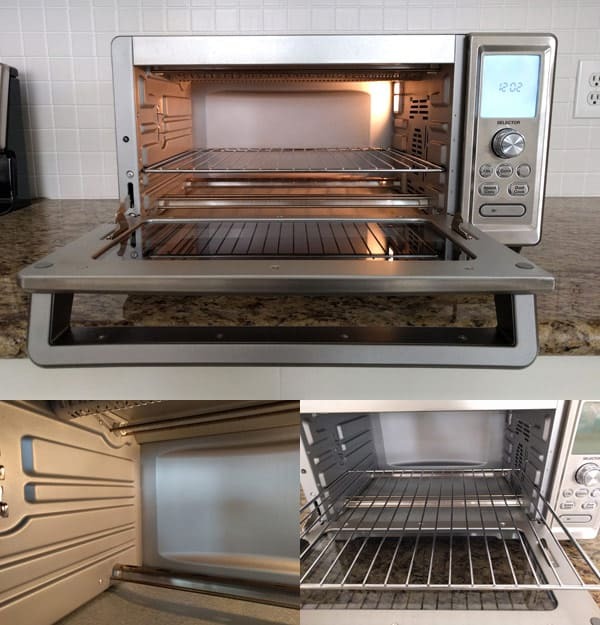 Replace the baking rack and crumb tray in the clean toaster oven. Then just make sure all of the elements are entirely dry before plugging your sparkly clean toaster oven back in and making a batch of baked potatoes. Each time you cook with your toaster oven food can get on the walls, ceiling, bottom, and door. When you roast vegetables daily like we do you’re splattering oil all over the inside. If the crumbs and grease aren’t cleaned off before your next use you can unintentionally bake that food onto the appliance making it harder to clean off. So how do you keep your toaster oven clean? Wipe it down. A LOT. All of the toaster oven manuals we’ve read talk about wiping it down right after cooking. But your toaster oven (and ours) is screaming hot after use and not somewhere you want to be sticking your digits. To keep our toaster oven clean (and hands burn-free) our #1 maintenance tip is to think of it as just another dish to wash after dinner. Once the toaster oven has cooled wipe down the ceiling, walls and crumb tray with a damp sponge. Oh, and don’t forget to wipe the inside of the glass door too – it’s easy for a lot of grease to build up on it. So far we’re about 70/30 for remembering to do it ourselves. 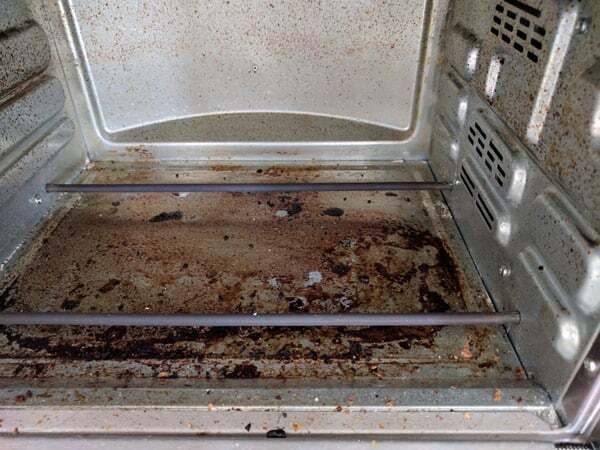 If you sometimes forget to clean it after cooking too, you could also make a habit of wiping down the toaster oven before you preheat it for your next meal. How Do You Keep Your Toaster Oven Clean? Got a great tip or cleaning method? Please help the community (and us) by sharing in the comments below. In Part 2, we’ll put those “viral” cleaning tips to the test and see if they can salvage our messiest toaster oven fail. 8/3/2018 Update: Unfortunately, we haven’t found any products or tips that will remove the grease without also taking off the finish or damaging the metal. We’ll keep trying and will be sure to update this page with any awesome discoveries. P.S. Big hugs to everyone who’s left cleaning tips in the comments, you’re the best! I use salt to clean my toaster oven. For the crumb tray, I lay my toaster oven on its back and open the tray so that it’s horizontal. I position it so that the outer edge overhangs the sink a little. After brushing off any loose debris with a paper towel, I moisten a sponge with hot tap water, squeezing out the excess. Then wipe the crumb tray. Immediately sprinkle generously with salt and coat any areas of grease or stuck on food. I let it sit for several minutes then rub lightly with a paper towel. As I wipe the salt absorbs the stuck on food or grease and starts to turn brown. I brush the dirty salt into the sink and redo the process as needed. I have a small, square plastic scraper that I use for really stuck on spots. The salt is slightly abrasive and can take off the finish if you rub too hard, but if you do it lightly a few times it should be fine. Note, this works on the glass doors as well. Just position the area to be cleaned so that the salt doesn’t go into the cracks and crevices of the toaster oven. Another note, I clean my cast iron pans with this method as well. Once they are clean I just wipe with coconut oil and they’re seasoned and good to go. The best part is, I get cheap dollar store salt and keep it just for cleaning, and when I’m done with it, it goes right into the sink and down the drain. No chemicals and very little cost! I love that there are no chemicals involved and can’t wait to try this method on our little toaster oven. Thanks so much, Lisa for these great tips and your step-by-step instructions! Hi Karen, congrats on your new oven! The interior roof is super to hard to clean on the Breville’s. Especially because you want to be extra careful around the heating elements. Wiping down the roof after each use helps to avoid any buildup but the grease spots/stains are near impossible to remove using the soap and hot water recommended in the manual. If you’re on Facebook there are two great groups dedicated to that specific oven you might want to check out. I’m sure they’ll have a lot of good bacon cooking/cleaning tips for you. The Toaster Oven Cover (any piece of fabric the same width as your toaster oven… a table runner or scarf folded in half and draped over the top and front, preferably somethings that looks good yet blends in and doesn’t call attention to itself) is the easiest way I know to feel great about how your toaster oven looks–it’s still a good idea to clean it so it isn’t a fire hazard, but this way, if it won’t come clean (and ours never will) it still looks fabulous. EXCELLENT IDEA!!!! Turn it on the side. first off you can at least get a better look than trying to see the ceiling of the oven. some of the ideas i have tried but like you nothing that was a easy to use cleaner. the soft water and a soft rag did’nt seem to get ours very clean. thank you for several ideas. we love using our mini oven because it is easy to cook for 2 and in the summer months, it does’nt heat up the house to much. Hi there, I use bar keepers friend, safe for aluminum.Works well and my toaster/ convection oven has survived many cleanings, and the glass is nearly spotless. Partially successful. If you rub hard enough some stuff comes out. I have no idea why I can’t clean the glass on the door well. I actually think I will try that Cream of Tartar stuff. What do you think about lining the tray with aluminum foil? It sounds like you’re doing a great job, there’s always going to be staining but like you said a little elbow grease gets a lot of it off. 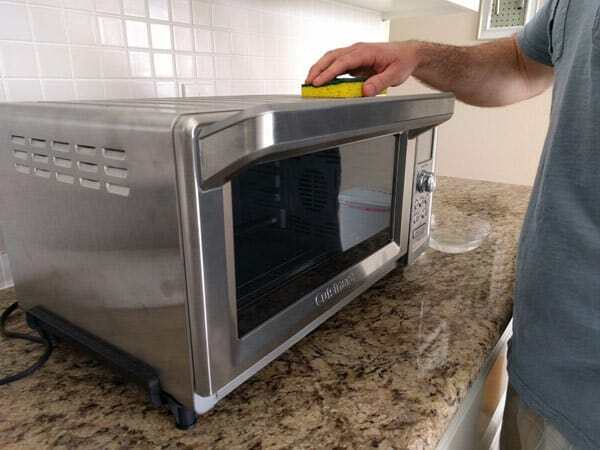 Now that it’s had a deep clean, giving your toaster oven a quick wipe down after use will make a HUGE difference in keeping it clean going forward. Unfortunately, putting foil on the crumb tray can be a big fire hazard. You can read a little more about that here https://toasterovenlove.com/foil-in-toaster-oven/. We’ve heard of some people using copper grilling mats on their trays but don’t use them ourselves. I’ve just accepted our tray is going to have staining and do my best to wipe it down. Yeah, the ceiling can get a lot of stuff splattered on it from roasting food. Don’t stress too much about it though, you just want to wipe off any surface grease. If you have a magic eraser hanging around I used one on our glass door the other day and it did a great job cutting through the grease. I hope you are only using the cover when you are NOT using the toaster oven! The top gets very hot, and may have vents in the top or side in addition to the back Keeping it covered while in use could damage the unit or cause a serious fire hazard. On my previous toaster oven, the glass seemed uncleanable, and kept getting worse. What did the trick was a thick paste of baking soda and vinegar. When it dried out, I sprayed more vinegar on the paste. The glass was so coated with hardened grease that it took leaving the paste in place for a week, but it was pristinely clean when I finally rinsed it off. A bit of rubbing, but no real scrubbing. This works for the inside of the toaster, too, or the regular oven, but the baking soda is a beast to rinse out, so it’s definitely not good for the interior of the toaster, and a lot of work for the regular oven. I just dug an old toaster oven out that’s been in a barn for a few years & I’m not sure when it was used last. It definitely needs cleaned, so I’ll keep these tips in mind. Do you have a suggestion as to how I should go about safety testing it to see if it’ll even work? Congrats on your toaster oven find, Jenn! Unfortunately, we only have experience with using new ones. I know some readers have purchased used toaster ovens at yard sales, etc. hopefully they’ll chime in with a few tips for testing if it will work. If you can tell the model/type of toaster oven you might want to look for the manual online and read through the “warnings” section. That part is usually full of good safety tips. After I am done cooking, I spray the inside of the oven with water, which creates steam. This is basically the same process as a steam clean oven. Then I just wipe with a damp cloth. That’s a great idea. Sounds almost too easy. : ) but I hadn’t thought about that for the toaster oven. Thank you! What about Goo Gone oven cleaner? Great question, Sheila! We spent an afternoon reading labels at Home Depot and the Grocery store one day and I remember being disappointed that Goo Gone Oven Cleaner was a no go but I couldn’t remember why. 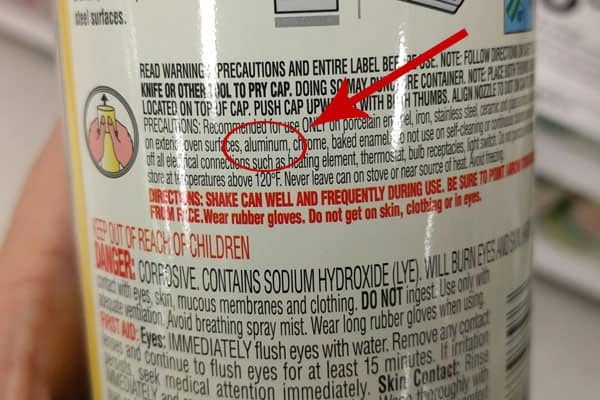 I just looked up the product and on their website, it says do not use on aluminum which is what the interior (and crumb trays) of most toaster ovens are made of. I like Simple Green, an industrial degreaser. Cuts the grease, smells nice, and is non-toxic and biodegradable. What about using the liquid form of BarKeeper’s friend? I tried a little on the crumb tray and when I wiped it off of the tray a bunch of gray colored stuff came off onto the sponge too. Since it seemed like the gray was some of the oven’s finish, as that spot was dull and no longer shiny, we decided not to use more of the BKF on the pan or toaster oven. I’m still on the hunt for a product that will get that baked on grease off without damaging the finish in the process – so far it’s been pretty elusive! I’ve used Baking Soda and a little elbow grease to get a lot of baked on stuff cleaned up….not all though. On the back of the liquid Barkeepers Friend All Purpose Soft Cleanser, it says “Bar Keepers Friend is not for use on gold, silver, pewter, marble, lacquered metals, or anodized aluminum.” I guess it would depend on if the toaster oven you have is considered lacquered metal or anodized aluminum. I know it’s great on stainless steel. So my wife and I have never cleaned ours out and we’ve had it for 5 years, would the warm water and white vinegar work to clean off everything that has baked into the interior, or would you suggest something else? Since you’re talking about a lot of years without cleaning it’ll probably take a few rounds to start to get things in better shape. Check your toaster oven manual, most usually suggest using a non-abrasive liquid cleanser or mild spray solution for tough to clean areas. I tried Sue’s suggestion below of “cream of tarter and hot water on a rag” and found it worked pretty well. For anything you use, test in a small area first to see if it scratches your toaster oven or removes the finish before applying to the whole thing. Good luck, we’d love to hear how it goes and what works best for you! I just used the air fryer setting on my Breville Air oven for the first time to make chicken wings for a Super Bowl party and the oven’s ceiling is now a mess. Any tips for getting the baked-on grease off without damaging the quartz heating elements? I was wondering about using cream of tarter and hot water on a rag that’s wrung out. I used it on a s mall sauce pan & it looked new! It took off all that dark stain out. That’s a great idea that we’ll be adding to our “try list” for sure. The biggest problem we’ve found with using any kind of powder like baking soda is rinsing it off the toaster oven, since you can’t toss it in the sink, lol. Combing a powder and water on the rag sounds like a much better idea. 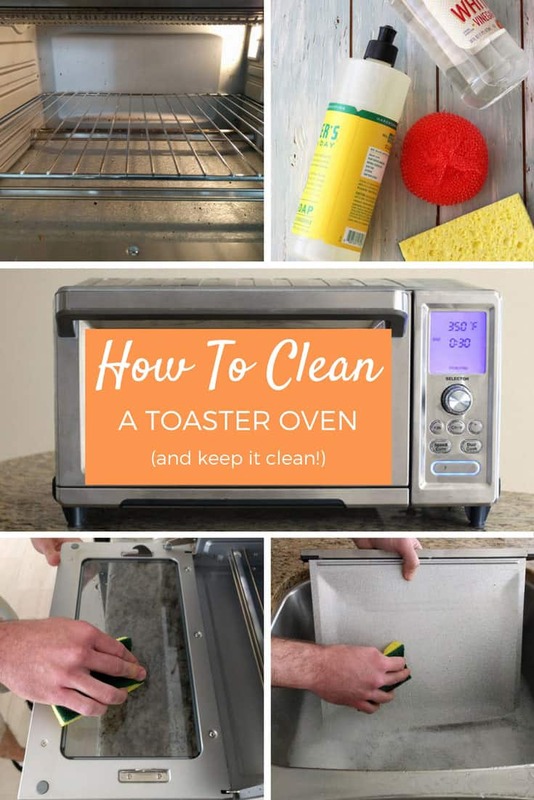 Have you ever posted Part 2 of how to clean toaster oven? Unfortunately, we haven’t had a lot of time recently to devote to it but we do plan to try a few more tips and hope to have an update (good or bad) sometime next year. Looking forward to learning what Part 2 has to offer! Thanks for all these recommendations, I’ll be trying them….but I’ve certainly NOT kept up with “after use” cleaning….or even annual cleaning (other than emptying crumb tray) at this point! So far Part 2 is turning into more of a “What Not To Do” which I am still planning to post. I’m hoping it will save you from wasting time/money on stuff that doesn’t work. As annoying as it sounded to us at first, wiping it down after use (even if you forget sometimes) does make a HUGE difference over time. That is a really good tip. I would have never thought of it, thanks. And also thank you for the blog post. Exactly what I needed. I leave the ceiling to clean last. Turning the oven upside-down makes it easier for me to check for damage and to clean ceiling and upper heating elements thoroughly. What a great tip, Nally! Even just turning the toaster oven on it’s side will make it easier to clean the ceiling. Thank you for leaving this comment, it’s such a game changer! I wish I’d thought of this years ago!